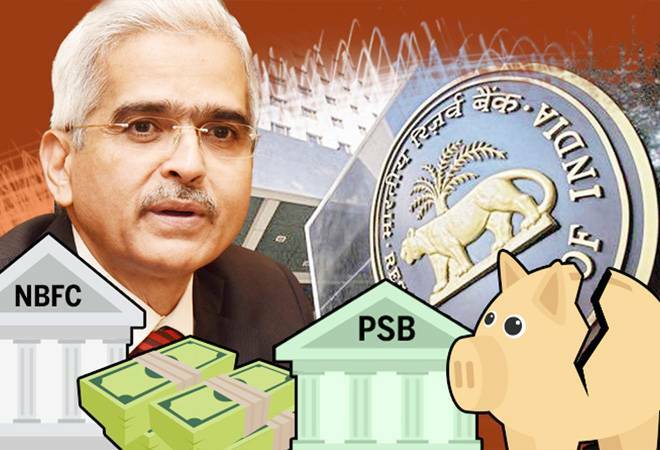 Shaktikanta Das today took charge as the Governor of the Reserve Bank of India. He has his task cut out for him. His predecessor Urjit Patel had resigned abruptly after several months of deteriorating relations with the government. As a result, there were a number of things that he did not take a final decision on - or issues that require a rethink given how insistent the government is about them. There were other contentious issues that cropped up in the last days of Patel's tenure. And finally, there is the human relations issue - the task of reassuring his worried deputies and making sure they do not follow Patel's example. Critics have already started saying that Shaktikanta Das is Modi's and Jaitley's man, and therefore will do exactly what they tell him to do. They point out that if the then RBI governor was making life difficult for common citizens by bringing out one notification after another in double quick time, it was Das who interacted with the press and became the spokesperson explaining the rationale behind many of those quick changes in rules. Such a man, critics are inclined to believe, will never buck the finance minister's wishes. That was the opinion of many when Urjit Patel was named as the new governor after Raghuram Rajan's term was not renewed. The sudden demonetisation announcement and the RBI's clumsy execution of it with Patel remaining silent all the while only reinforced that image. As it turned out, Patel was reticent but he had pretty strong opinions and he could be extremely adamant when he wanted to be. Other governors and other finance ministers have had fractious relationships, despite many RBI governors actually going to the central bank after serving a long stint as a bureaucrat in the government. Duvvuri Subbarao was finance secretary before becoming RBI governor and despite that he got into a spat over interest rates with the then finance minister P. Chidambaram. So one must not automatically assume that because Das was a confidante of Jaitley during the former's term in the finance ministry, he would automatically be the government's man and the RBI would become an extension of the finance ministry. The central bank governorship is a position that imposes its own set of demands, and sometimes central bankers have to take decisions against the ruling government's wishes because their outlook and brief is different. All governments think of the short term - while good central bankers have to worry about the medium term. Das has to deal with five issues quickly. One, whether there is any merit in the government's view that the Prompt Corrective Action (PCA) should be relaxed for the public sector banks. Two, if there is really a case for relaxing interest rates and improving liquidity rapidly for SMEs and others. Three, whether to go slow on the NPA action that the RBI had prescribed against sick power producers. And four, whether to part with a chunk of the reserves as the government desires. There is one fifth task - dealing with powerful private sector bank promoters. Urjit Patel had made it pretty clear that Rana Kapoor would not get an extension to stay on as the chief executive of Yes Bank. It had also refused to allow Uday Kotak to use the preference shares route to reduce promoter shareholding to levels sought by the regulator. Kotak has already gone to court against that decision and Kapoor might also take the opportunity of Patel's resignation to appeal once again - to either the new RBI governor or to take the matter to court. I do suspect Das will show himself flexible in the matter of PCAs. He might be inclined to let some of the stronger public sector banks, currently under PCA temporary leeway, to take deposits and give loans within a certain framework and regulatory oversight. He would also probably agree with the government that retail inflation is under control and there is a case of reducing interest rates. He might also be inclined to consider giving a temporary window to clear up the power mess - after all, many power producers are facing problems for no fault of theirs but because of regulatory issues. I do think though that while he will reduce interest rates and ease liquidity for banks, he will caution the government against loan 'melas' for the SMEs, given that they will only create NPA problems for banks down the line. He will relax liquidity but also exhort the banks to assess risk properly before handing out loans. In the case of RBI reserves, the can has been kicked down the road. The last meeting of the RBI board of governors had agreed on a committee that would give the final recommendation, and will buy him some time apart from allowing him to assess how much reserve the central bank needs to keep. So that is not an immediate decision he needs to take. In the case of private sector banks, the Kotak case is already in High Court and I think the RBI has no option but to defend Patel's decision. I would think Das will also prefer sticking to his predecessor's decision about Yes Bank, assuming that the board of Yes Bank appeals again to extend Kapoor's tenure. I certainly do not expect Das to change every decision his predecessor took.